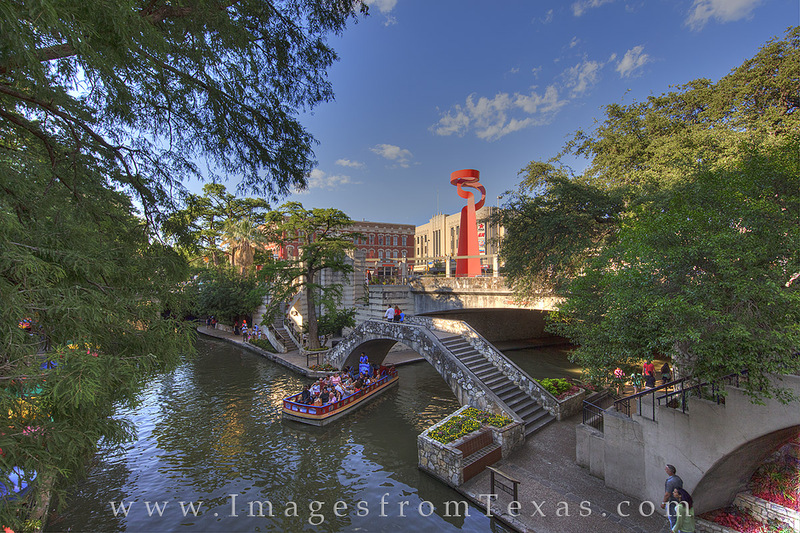 The San Antonio Riverwalk provides great walking for locals and tourists on a summer evening. Boat rides are also available to enjoy the area while listening to the narration of a guide. Here, the Tourch of Friendship stands prominently just above the cool canals. Photo © copyright by Rob Greebon.